← more quilting. 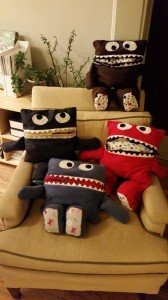 . .
What great fun it was to create these pajama eaters! My daughters and I crafted together a few days ago to create hand made gifts for nieces and nephews. Each monster has a unique look and were so much fun to play with. 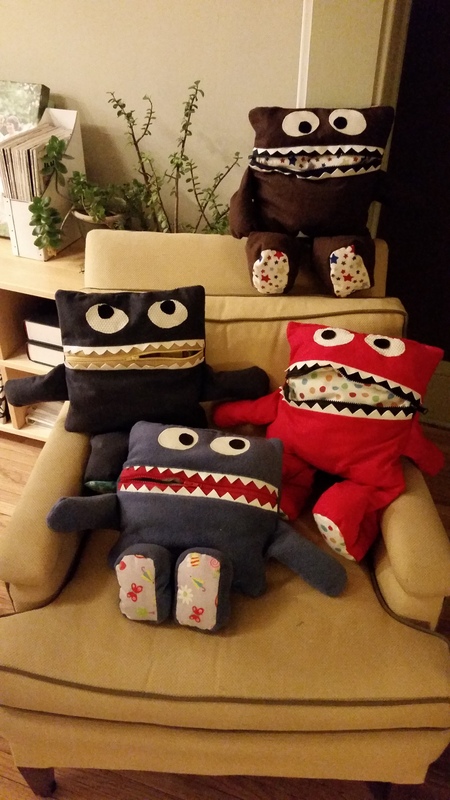 Can you imagine how much fun it would be to “feed” your monster pajamas in the morning? Or how about pulling them out of his tummy at night? It would easily be a great place to store special books, toys or trinkets. custodia iphone 5c blu The pattern came from here: http://sewfearless.com/2011/08/05/pajama-eaters-the-tutorial/ Merry Christmas to all. .